Get ready for a sun-kissed Italian adventure when you secure your spot at Continental Toscana. This dream holiday is made very easy as you can leave all the details to the team at LuxCamp. 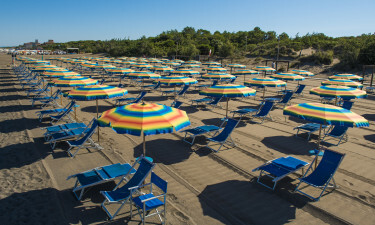 Strolling along the shore to the nearby town of Marina di Castagneto is an enchanting experience that guests at Continental Toscana will not want to miss. A number of excellent day trip destinations are also within easy reach of this luxury camping site, such as Livorno and Volterra. 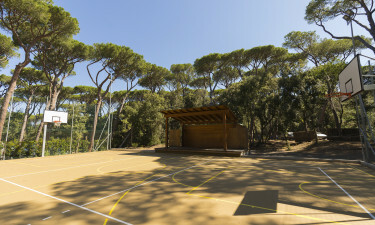 Why Choose a Camping Holiday at Continental Toscana? 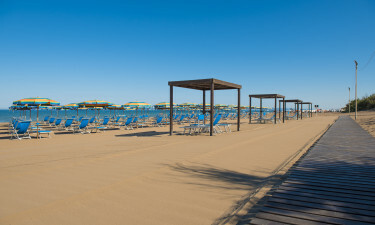 Guests will find that they can walk down to the beach from their mobile home on Continental Toscana in just a couple of minutes and this is made especially easy thanks to private beach access. In addition to complimentary sun loungers, a beachside kiosk offers watersports equipment hire to those who want the chance to ride the waves. Parents can rest assured that their children will be in safe hands at the small onsite swimming pool as it is watched over by staff members at all times. A colourful children’s play area is located nearby and is ideal for young kids to make use of.